AcuTouch is a full-service acupuncture and Herb practice located at South Austin on James Casey Street. In our spacious, comfortable offices, we treat everything from chronic pain to infertility to smoking cessation. Our fully staffed facility is led by Dr John Su, a licensed acupuncturist who has been in practice for more than a decade. 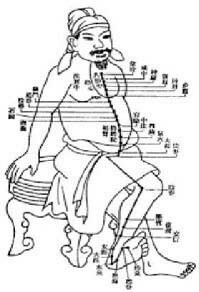 Dr. Su combines acupuncture with other key principles of Eastern medicine: Individualized diagnosis, physiology, and the use of herbal and nutritional supplements. We believe in combining traditional Chinese herbal remedies with modern nutritional and dietary therapy. That means an individualized diagnosis of all new patients, to determine and “baseline” where you are, health-wise: Your overall constitution, any imbalances — anything you feel needs attention or change. We are devoted to providing quality, natural health care. Through the use of acupuncture and herbs, many ailments can be treated. This web site has been developed as an aid to provide you with valuable information about our clinic and materials to supply information about your health, order treatments, and set up appointments. Please review the sections of our web site to find the information you need.